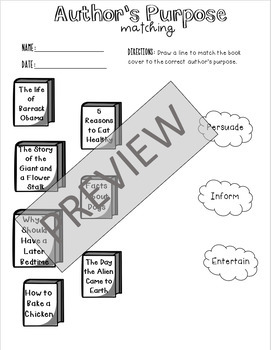 These three worksheets are designed to give your students practice in identifying the three types of author's purpose. 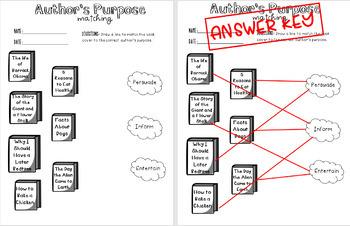 Your students will read the book title, then draw a line to the corresponding author's purpose. 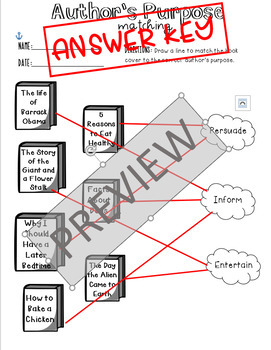 There are three versions of this worksheet.